*Usher, Jennifer Hudson and Celine Dion are the first major acts announced for the upcoming one-hour TV tribute to late R&B superstar Whitney Houston, reports MTV. Titled “We Will Always Love You: A Grammy Salute To Whitney Houston,” the special is slated to tape at the Nokia Theatre L.A. Live on Oct. 11 and air Nov. 16 on CBS. Additional performers to be announced in the coming weeks. The special will feature interviews and songs from a number of artists, in addition to some of the six-time Grammy winner’s most memorable performances. Fans will also get a look at some never-before-seen footage and exclusive interviews, along with artists sharing their memories of Houston. 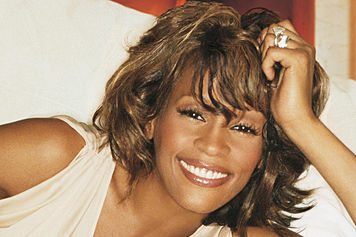 Whitney’s new greatest hits album, “I Will Always Love You — the Best of Whitney Houston,” will hit stores on Nov. 13, just days before the special airs. As previously reported, the 18-track disc includes all 11 of Houston’s Billboard Hot 100 #1 hits, as well as two previously unreleased songs, the Jermaine Dupri co-produced “Never Give Up” and a new version of “I Look To You” featuring R. Kelly. The latter was released to digital retailers on Tuesday.